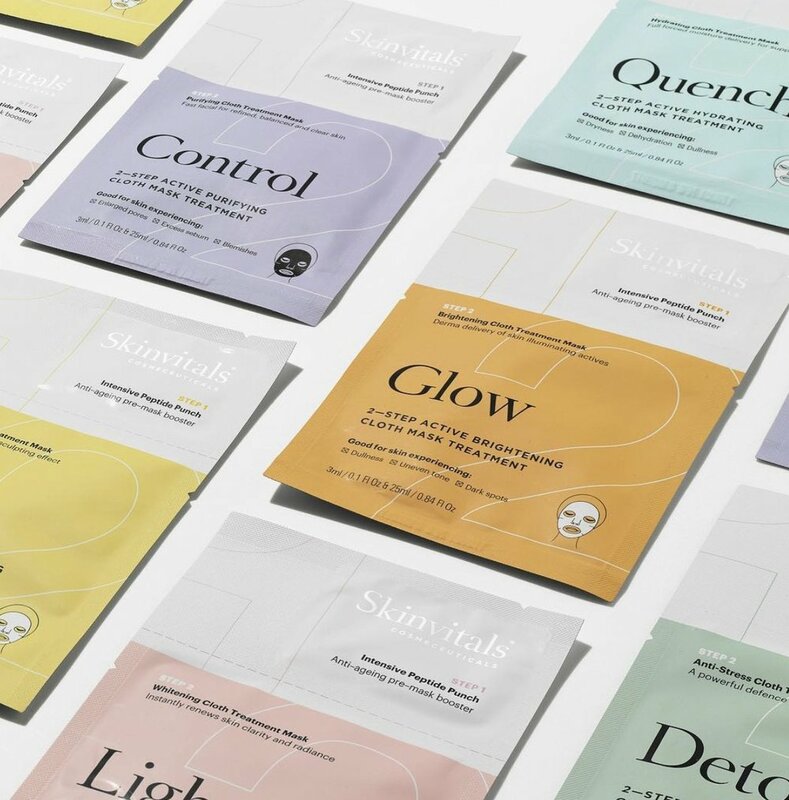 Skinvitals are the original sheet mask brand to launch in Australia in 2005. 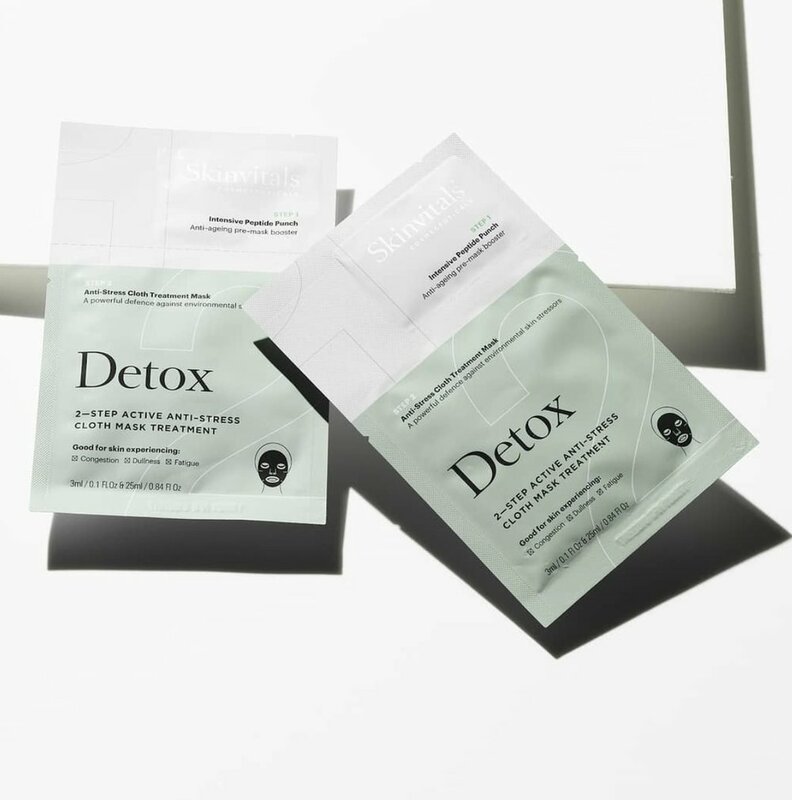 Their prescriptive two step facial masks draw on the latest scientific technologies to deliver real results - offering the equivalent beauty benefits of a salon treatment, in a matter of minutes - no appointment needed! Their masks are created with a simple premise: what does your skin need today? Skin can be temperamental - one moment it's oily, the next it’s dehydrated, stressed or lost its glow - therefore each mask can provide an instant remedy to your changing skin concerns, formulated with effective levels of the very best plant-based ingredients for results you can actually see. Each two step mask pack contains a pre-mask serum that is formulated with a blend of five active peptides, collagen boosters and antioxidant-rich botanicals, it assists with moisture retention, enhances elasticity and promotes plump, bouncy, younger looking skin. The masks are saturated with a cocktail of cosmeceutical and botanical extracts and hyaluronic acid. And the cloth is breathable and fits like a second skin, allowing for maximum absorption. Each Skinvitals product has undergone thorough testing to ensure that they are safe for your skin and the environment, while delivering clinically proven effects - they contain no unfriendly parabens or phthalates; no sulphates, silicones or chemical screens; no mineral oil, glycols or DEA; and they are not tested on animals. For a full list of Australian beauty brands check out the Beauty Directory here.